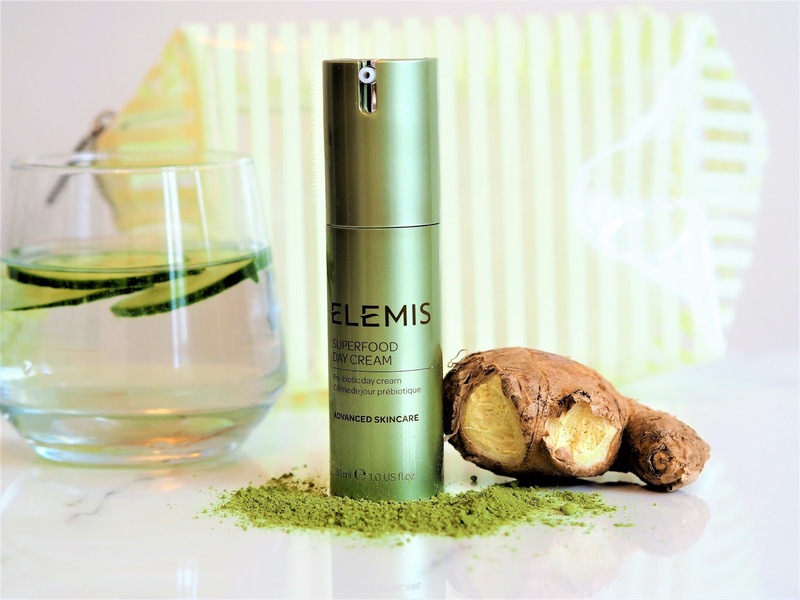 When I first saw these new products from Elemis I actually did a happy dance and you know I am not made for dancing, so it had to be something pretty darn special! 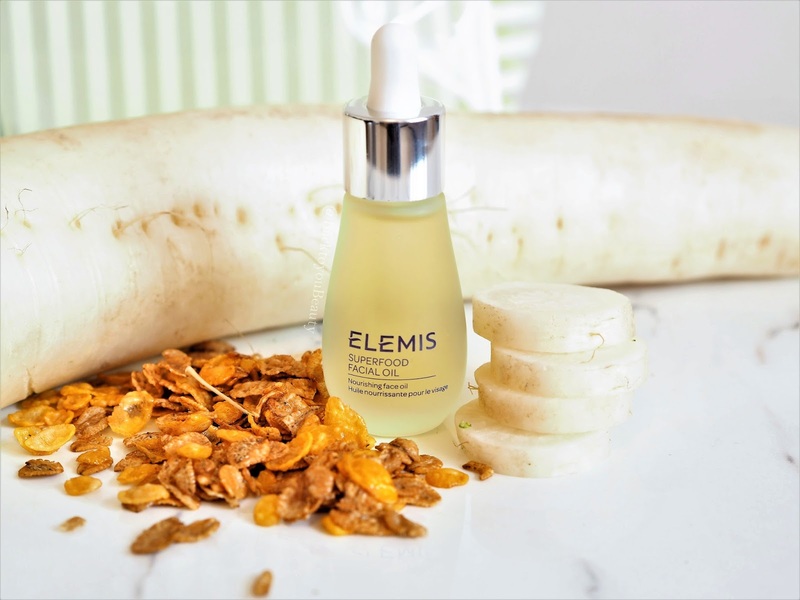 The Superfood Skincare 4 Piece Collection from Elemis is a perfectly curated selection of products that are already receiving rave reviews and with good reason. We all know the benefits of eating certain “Superfoods” Goji Berries, Brocolli, Ginger, Daikon, Green leafy veg, all improve our health and well being from the inside out. So to be able to incorporate that into our skincare regime was an absolute no brainer for me. 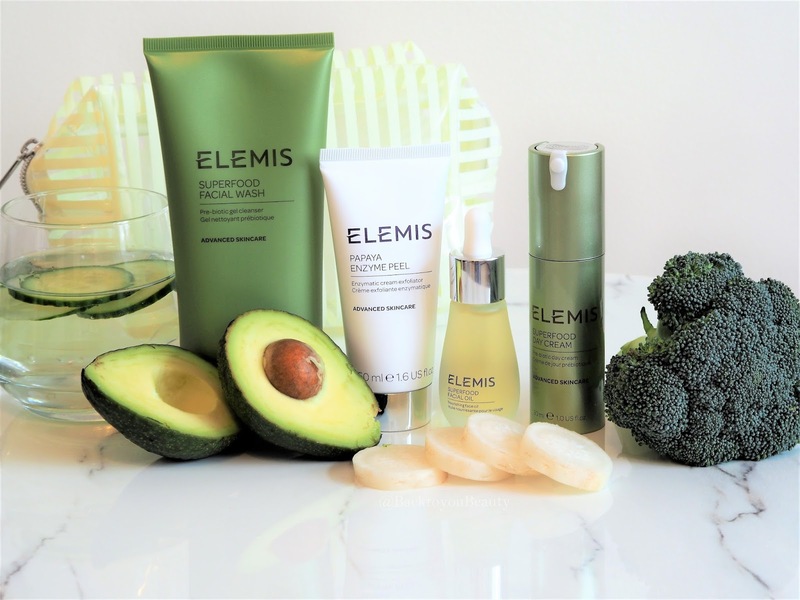 I adore everything about this range, from the simplistic broccoli green coloured packaging, to the sleek design of the bottle and jars that the products come in. If that is your bag, then on an aesthetic level you will be super pleased. As for the actual product themselves well read all about it…..
As soon as I saw this product I absolutely knew that I would be fighting my 19 year old son for this. He gets hold of all my Elemis products and makes short work of them. Especially the Gentle Foaming Facial Wash which I hardly got a look in on, anyway, I digress. I have currently take to hiding this product which I only do for super special items as I love the radiance it gives my skin from the get go, but lets backtrack a little. The moment you open the cap, the deliciously healthy scent just hits you. It smells like a fresh spring garden or a tasty smoothie with a hit of citrus floating somewhere in the back. 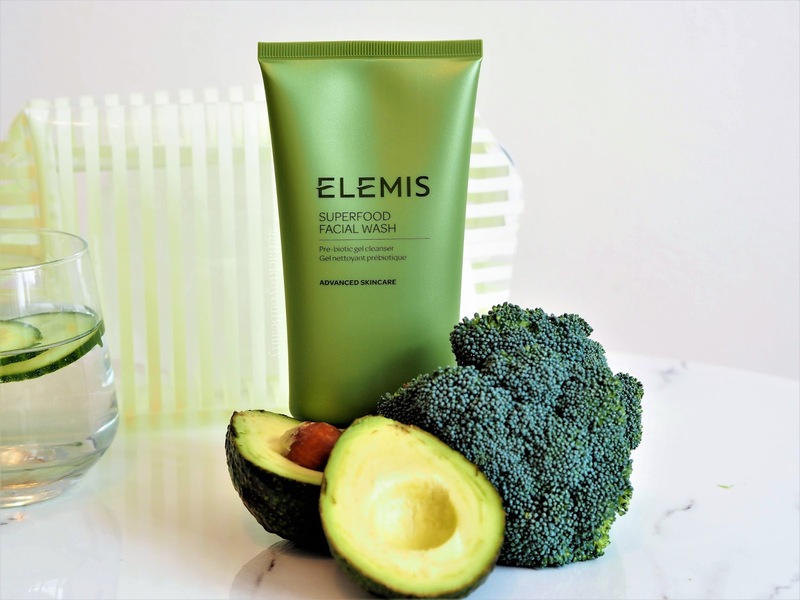 Containing Avocado, Pumpkin seed and Broccoli oils, combined with the powers of Kale, Wheatgrass and Nettle, this gel cleanser leaves the skin bright from the first cleanse. Suitable for all ages, this cleanser is about getting your skin to that optimum level of health and vitality. Perfect for this time of year after a month of detoxing in January it sloughs away those dead skin cells whilst offering a deep and thorough cleans that hydrates the skin and leaves you looking and feeling glowing and healthy. Perfect as a second cleanse ( although it does remove make up) I add a small amount onto my dry skin and gently massage in. I then add some water and it changes to a lovely foaming, creamy lather, I massage In for a few minutes and gently rinse away. My skin is always left looking and feeling glowing, hydrated and healthy. Broccoli Seed Oil, Cucumber Oil, Daikon Radish Oil, Flax Seed Oil, Macadamia Oil, Meadowfoam, Seed Oil,Poppy Seed Oil, Rice Bran Oil,Rosehip Oil, it really is jam packed with goodness. Perfect for all skin types including oily skins, this incredibly lightweight oil feeds the skin deeply, whilst leaving it balanced and with a healthy radiant glow. It smells lovely too, in a herbal kind of way thanks to the naturally fragranced essential oils of top notes: Orange, Lemon, Galbanum, Rosemary and Eucalyptus. Middle, Herbal notes of Lavender, Ylang Ylang and Palmarosa and bottom woody notes of Amyris, Cedarwood, Vetivert and Patchouli. I have dehydrated skin due to medication and using oils is one of the fastest ways of hydrating my skin and making it look brighter and feel softer. After cleansing I apply 3-4 drops of this Superfood Oil into the palms of my hands and breath in the aroma. I gently sweep outwards and up over the face, neck and décolleté avoiding the eyelids. Superfood Facial Oil really has had a huge impact on my skin so far and my skin is brighter, softer, smoother and has a lovely texture. I highly recommend this oil if you need to see a real improvement in the look, texture and feel of your skin. Hydrated, Clean, Radiant Skin can be yours. *Fun Fact Number One : Daikon is a large, long white radish popular in Asian Cuisine. For about five years now I have been drinking fresh Daikon tea (grating up a daikon that I buy locally, squeezing the juice into hot water and adding a shot of shoyu soy sauce.) This detoxifies my body, ridding it of a build up of excess fluid and inflammation that builds up due to having a medical condition. When I first read that Daikon was in this oil, I knew the amazing benefits of using it in skincare – Antibacterial, anti-inflammatory, full of vitamins and minerals, brightens and detoxifies. As I have seen first hand how incredibly well it has worked on me, I knew it was a no brainer. Oh…..My……Goodness…..This has to be, without a shadow of a doubt, one of the most exciting skincare products I have trialled in a very long time. My skin just adores the texture, the scent and the powerful ingredients contained in this gem. All it takes is a couple of small pumps each morning to literally liven and brighten up the skin. Firstly, the scent it just mouth-watering, fresh and ozone’y’ and fruity with a warm hit of Ginger to give us a kick up the backside. Secondly, from the moment I apply this prebiotic day cream that is full to bursting with superfoods such as Matcha tea, Goji berries and Ginger, my skin just feels happy. I mean, even if I am sitting eating a croissant (sssh) the fact that I am putting something so gloriously healthy on my skin makes me feel better. For me, I adore the lightweight texture that just melts into the skin. Its cooling and refreshing and immediately smooths and softens the skin upon application. Containing natural AHA’s it gently (so gently you do not even notice or feel it) exfoliates the skin, working away at getting the skin to its optimum level of health. This for me is just a winner, not only is it nourishing and hydrating but also protecting my skin against free radicals and feeding it with nutrients. Winner winner. I defo need the 50ml of this, I can feel an addiction coming on. This product really does deserve a fanfair. I have been using this for so many years it is an absolute gem of a product. Fun fact no 2: This was the first product I ever wrote about on this blog all those years ago. That’s how much I love it. 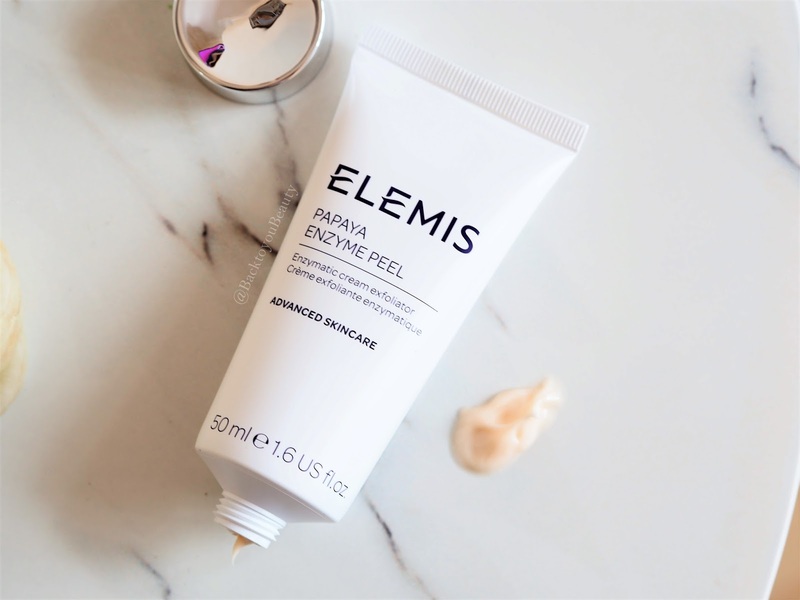 Fun Fact no.3: This is crazy, two weeks ago I was talking to a skincare creator (who works at a different brand) about products and she was sharing a new fruit peel with me and no word of a lie I said “My favourite fruit enzyme peel ever is Papya Enzyme by Elemis so I don’t think anything will beat that” her reply? “I created that”!!!! Oh my goodness I nearly fell over backwords, it was like meeting Santa. It was an almost Serendipitous meeting and I was blown away by the fluke of that conversation. So why do I adore this product so? Well I have used this on all ages and stages of my skin from my twenties, thirties and into my forties, through acne prone times, fun times, new mum times and ill health times and it has always picked my skin up in the blink of an eye. I seriously cannot say enough good about this product and how it transformed my skin and continues to do so. Please don’t be frightened by the sound of a “peel” as this is incredibly gentle. This non abrasive exfoliator uses mild Papaya enzymes and pineapple extract to give the skin a more refined look and feel. It really brightens the skin and makes the overall texture appear so much softer. It contains an ingredient called Bladderwreck which I love in products. It is a form of kelp/black seaweed which has a really high Iodine content, as well as many other minerals and vitamins. I have actually bathed in Bladderwreck numerous times to detoxify my skin and its amazing. In skincare it also does exactly that, it detoxifies the skin in a gentle way, without causing breakouts, it nourishes the skin and deeply cleanses it without leaving it dry. I know I am waxing lyrical but I have seen the amazing benefits of this ingredient first hand and that’s why I love this peel so much. The Papaya Enzyme peel smells, mouth-wateringly fruity and uplifting. It is a light orange coloured cream that you apply to your face ( Avoiding the eyes) after cleansing, twice a week and leave on for 10-15minutes. Sometimes on my dehydrated skin it sinks straight in so I just wipe away with a warm cloth after. I am always blown away by how clean, bright, soft and hydrated my skin feels. If your skin is lacking brightness, or you have breakouts around your chin area definitely give this a go. My Thoughts on this collection – This really is your skins detox without the breakouts. It is suitable for all ages and stages of skin concern due to the nature of the ingredients. There is nothing harsh about this skincare range, yet due to the superfood ingredients, you will most definitely see a more brighter, smoother, cleaner, hydrated, healthy, nourished looking skin. I am so pleased that Elemis have launched a range like this. It just feels so healthy and uplifting on my skin and is something I also know my son will be able to enjoy on his skin. When using this range as a whole, always incorporate your toner, to balance out the skins PH levels after using water. 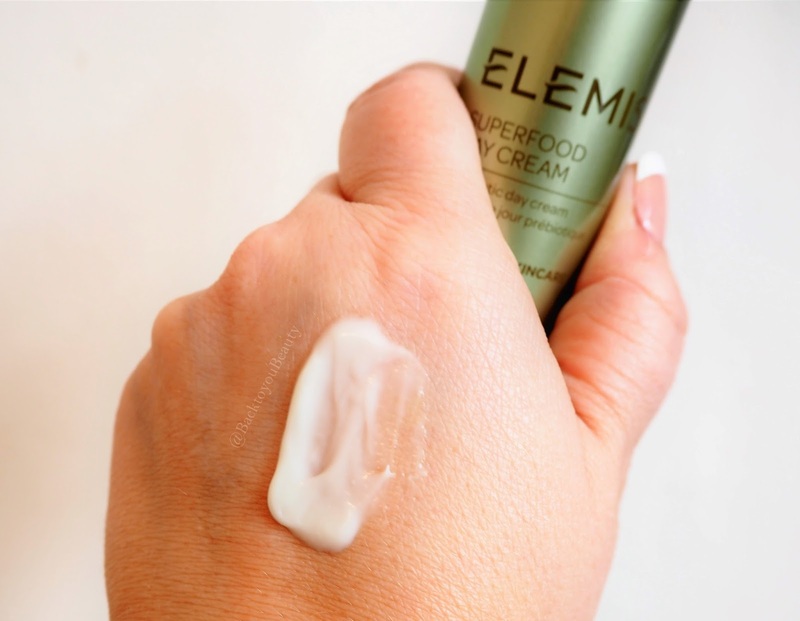 If your skin needs to be replenished and feed and nourished, the superfood range is perfect for that, especially at this time of year, plus it is incredibly easy to slot into any existing regime that you have. I have been using this solidly since I received it, and although my skin is in great condition, it was looking a little flat and dull from the cold of January. As you can see above (go on, zoom in ) it is bright, vibrant and alive. A real joy to use. This collection also comes with a water proof cosmetics bag that easily houses all the products and more. 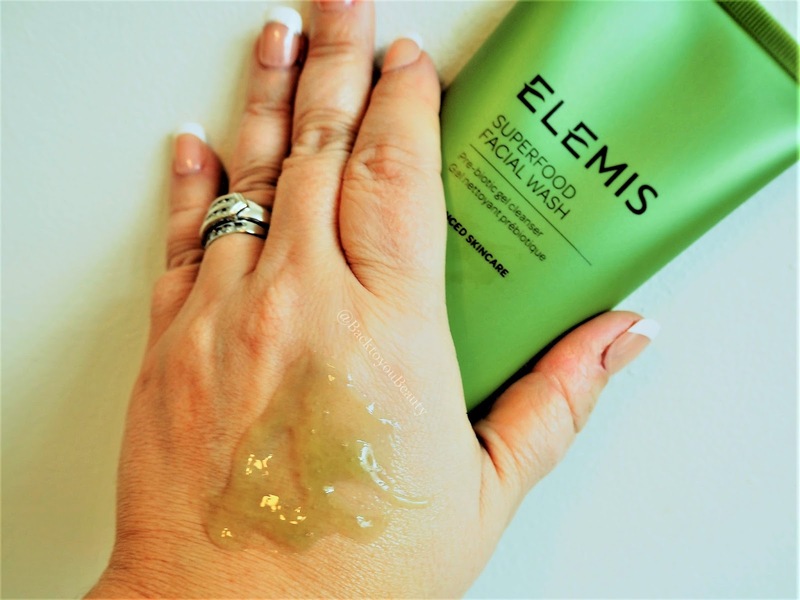 This post has been sponsored by Elemis, however, as always, all opinions are my own. Please read my disclaimer at my WORK WITH ME page, for more information. "Its time to get your glow on with BECCA – The 5 Piece Glow Collection"
"January – What’s on my desk? Products i received in beauty PR"
Great article. The Papaya Enzyme Peel is my favorite product. I love the image styling with the super foods! The oil sounds like just what my skin is craving!